The best way to send large files in a safe, secure and compliant way. We are also GDPR compliant. To read more, see our Security Policy. Transform how you send big files. Send large files up to 20GB in size with ease. Send and receive unlimited files up to 20GB each in size. Upload multiple files and zip them automatically. Use your company logo colours on your send, receive page and email notifications. Keep your files live forever with permanent storage. Transfer your files using 128-bit SSL Encryption. Your files are stored with 256-bit AES encryption. 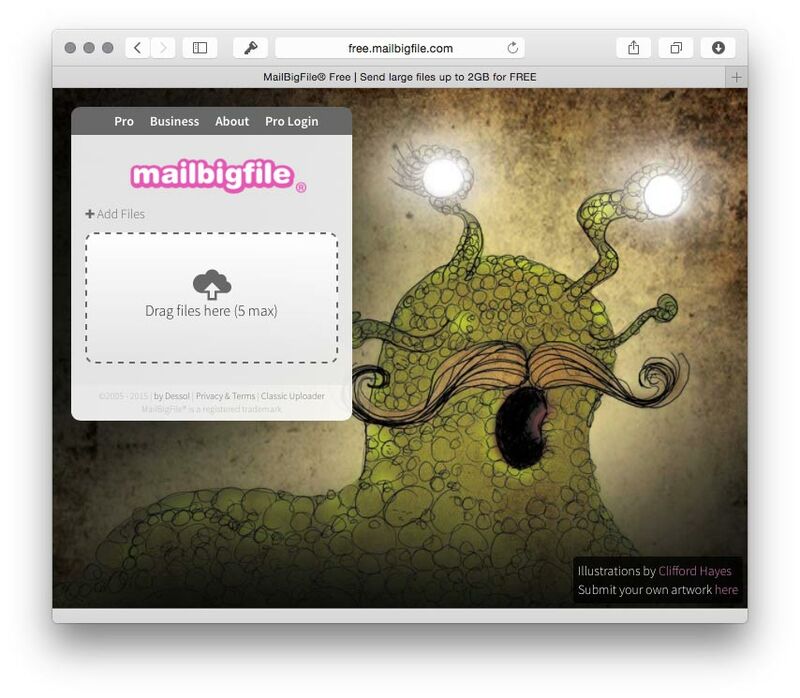 MailBigFile is an easy way to transfer large files of up to 20GB in size. We transfer every type of file securely. Use the Pro account or brand your own pages and emails using the Business Account. Read more information of the features of each service on the services page. Above is the free uploader. Use it here. "Easy-to-use web-based application. The way it works is very simple.